Even if you’ve never heard his name, you’ve likely benefited from Garrett Morgan's most famous invention. In 1923 Morgan patented his three-position traffic signal, a device that revolutionized road safety. His traffic sign was just one of many accomplishments Morgan achieved during his 86-year lifetime. In addition to being a prolific inventor, he also solidified a lasting legacy as a local hero, businessman, and activist, all with only a sixth-grade education. Garrett Morgan was born in Claysville, Kentucky on March 4, 1877 to parents Eliza Reed Morgan and Sydney Reed Morgan—both former slaves. Garrett developed a passion for learning at a young age. Though he would have spent most of the year working on his family's sharecropping farm, Garrett preferred his time at school. Unfortunately, his formal education ended with his graduation from the sixth grade. Morgan knew there wasn’t much opportunity for him on his parents’ farm in Kentucky, so at the age of 14 he moved north to Cincinnati in search of employment. He found his first job in Ohio working as a handyman for a local landlord. It was at this point that he had the chance to advance his education, and he hired a tutor to improve his grammar skills. While his handyman job was definitely a step up from sharecropping, it still lacked the room for growth and creativity he desired. After four years in Cincinnati, Morgan moved to Cleveland with no place to stay and only 10 cents to his name. Life in Cleveland was rocky at first. During his first few days, he slept in boxcars in an industrial part of town and searched for work during the day. Even up north, he found that most white people weren’t willing to hire a black man. His first job in the city was sweeping the floors of a dry goods store for $5 a week. From there, he moved on to work as a sewing machine adjuster for women’s clothing manufacturers. This was the first job Morgan had that appealed to his knack for tinkering and problem-solving. He soon became the go-to person whenever a sewing machine was on the fritz, and he even invented new parts for the devices to help them run more smoothly. This experience gave Morgan the skills he needed to open his own sewing machine sales and repair shop in 1907. A year later, he married a white seamstress by the name of Mary Anne Hasek. (She was Morgan's second wife; he had first married at age 19 and divorced two years later.) Even though his interracial union to Mary Anne wasn’t met warmly by either of their families, his second marriage turned out to be much happier and more successful than his first. Life was good for Morgan: his business was so popular that by 1909 he had enough money to open his own tailoring factory. He purchased a home in Cleveland’s garment district and became the first black man in the city to own a car. Despite all his success, Morgan never stopped thinking of new ways to improve the world around him. In 1912 he developed his first major invention: the safety hood. As a young man he had witnessed firefighters struggling to breathe in smoke-filled spaces. He noticed that smoke tended to rise, so the device he invented drew and filtered clean air from the ground (or from a bag of clean air) through a long tube and up to a heat-resistant hood around the wearer’s head. After securing a patent for the product in 1914, Morgan took his invention on the road. He traveled from state to state demonstrating the device’s effectiveness to various fire departments around the country. It was purchased by over 500 cities in the North, but Morgan had a tougher time selling his safety hood to Southern audiences. He found a way around this by occasionally hiring white actors to pose as the product’s inventor in his place. Morgan was even known to dress up as an Indian chief named "Big Chief Mason" during these demonstrations. After being introduced by the white actor, his character would stand inside a smoke-filled tent for up to 25 minutes at a time. When he finally stepped out unharmed, the crowds were astounded. His invention garnered even more attention in 1916 following a Cleveland construction catastrophe. A tunnel that was being built 250 feet below Lake Erie collapsed after an explosion, leaving dozens of workers trapped and choked by harmful fumes. The local police were wise enough to call Morgan and request he bring his safety hoods to the site. He arrived at the scene with his brother and they descended into the tunnel along with two other volunteers, all of whom were equipped with the masks. Thanks to his invention, they were able to successfully retrieve workers and bodies from the rubble, but it was one of the white volunteers who had been with him who received all the glory. It was only after years of fighting for proper recognition that Morgan was finally awarded his due accolades from the city. Today, a Cleveland lakefront water treatment plant is named for him. In the meantime, Morgan's invention was making history overseas. World War I introduced a deadly new type of weapon to the battlefield: toxic gases. Morgan sold his safety hoods to the U.S. Navy, and they were also worn by Army soldiers to protect against chlorine and mustard gas attacks deployed by German forces. Future gas masks manufactured for British and American troops reflected aspects found in Morgan's original design. The safety hood was just one of several inventions Morgan would develop. While experimenting with solutions to help sewing needles stitch more smoothly, he inadvertently created a chemical hair straightener he dubbed the G.A. Morgan Refining Cream. This opened the door for him to start his own hair care business, whose products included black hair dye for aging men, a hair-pressing comb for women, hair oil, and hair grower. Then, in 1920, Morgan switched gears. He used the money he had earned from his entrepreneurial endeavors to found The Cleveland Call, a newspaper dedicated to reporting events relating to the African American community. The types of stories featured in The Call were often impossible to find in mainstream outlets of the time, and the paper soon became one of the most important black publications in the nation. 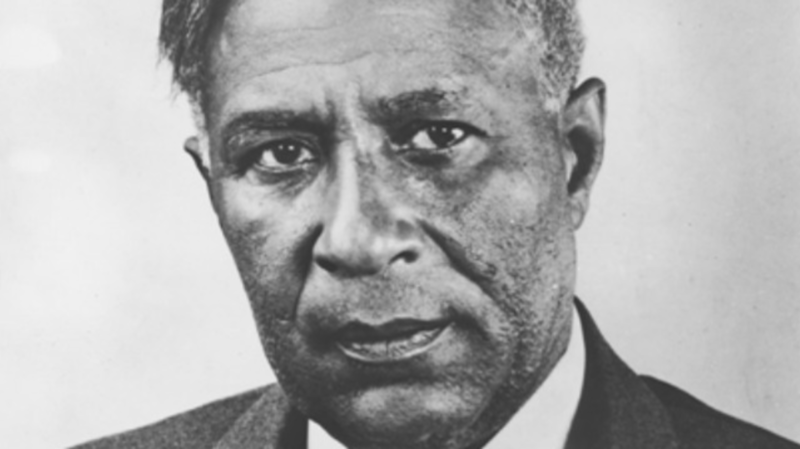 Three years later, Garrett Morgan filed the patent for what would become his most influential invention. After witnessing a collision between an automobile and a horse-drawn carriage, Morgan was inspired to devise a more effective traffic signal for busy intersections. The existing models were all manually operated, and they switched abruptly between stop and go without allowing traffic any time to slow down. Morgan solved this issue by introducing a third sign to the mechanism that would signal the transition. When General Electric caught wind of the invention, they offered to buy his patent for $40,000. Knowing that the company could do more for his idea than he had the means to, Morgan sold it. The invention would pave the way for the red-yellow-and-green traffic lights that are used on roads around the world today. On top of his industrious career as an inventor, Morgan left a vibrant legacy as a social activist and leader in the black community. He helped form the Cleveland Association of Colored Men and established an all-black country club on his farm in Wakeman, Ohio. He also dabbled briefly in politics when he ran for the Cleveland City Council in 1931, but his campaign was unsuccessful. Even after developing glaucoma in his old age, Morgan didn't stop inventing. He designed a pellet for cigarettes that would automatically extinguish them if a smoker fell asleep, and he invented and patented a de-curling comb at the age of 79. Garrett Morgan died in Cleveland on July 27, 1963 at the age of 86. He is buried in the city's Lakeview Cemetery, among fellow historical heavyweights Eliot Ness, John D. Rockefeller, and president James Garfield.